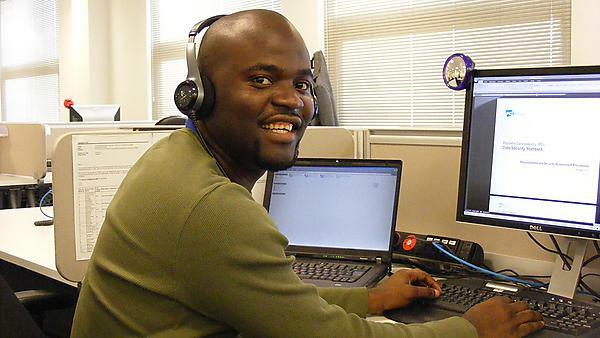 "Arriving as an international student from Nigeria, I enrolled at the University of Plymouth on the BSc (Hons) Computer Systems and Networks course, after completing a one year foundation course in technology at Plymouth. As part of my course I did a one-year placement position with Accenture as a Change Analyst. During this time, I rose to the position of a Change Manager, and subsequently a Service Integration Manager. I was then guaranteed a position upon completion of my degree. When I graduated I rejoined Accenture for a short spell. However, with a career in information security in mind, I joined a security software development company called Dtex Systems as a Security Engineer. Over the next year, and as a means to boost my career, I took a number of professional security courses, including CISSP and SSCP. I then began working for Research In Motion, makers of the popular wireless mobile devices, BlackBerry, as an Information Security Architect, responsible for designing and developing secure IT systems. Now, less than five years after graduating I am working for PricewaterhouseCoopers as a Senior Manager in their Global Information Security group. Overall, I would say a first class degree in computer systems and networks at University of Plymouth, in addition to a very good work placement position at Accenture UK, has set me on a path of success. Invaluable lessons gained during lecture and practical sessions and living experiences at the University prepared me for the tough environments of the professional corporate world. I would strongly recommend the University to all prospective students."